SO today I got a parcel with a very exciting lipstick in which i’ve wanted for weeks. 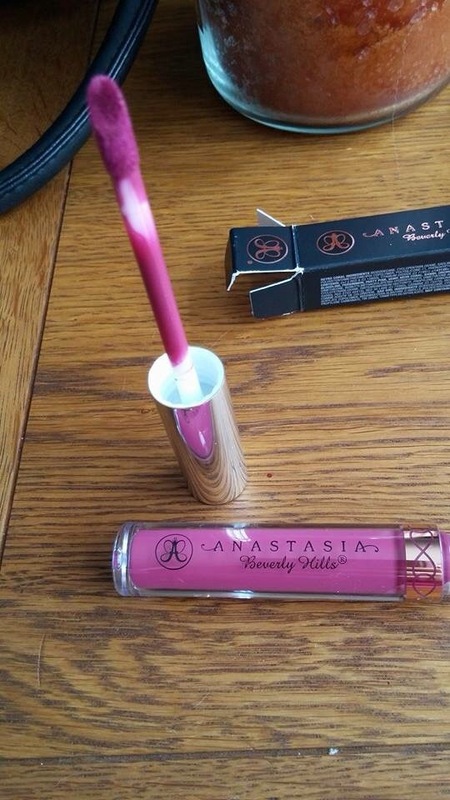 It’s the Anastasia Beverly Hills liquid lipstick in Craft. Starting with the name, I LOVE the name (especially because the movie the craft is just amazing! 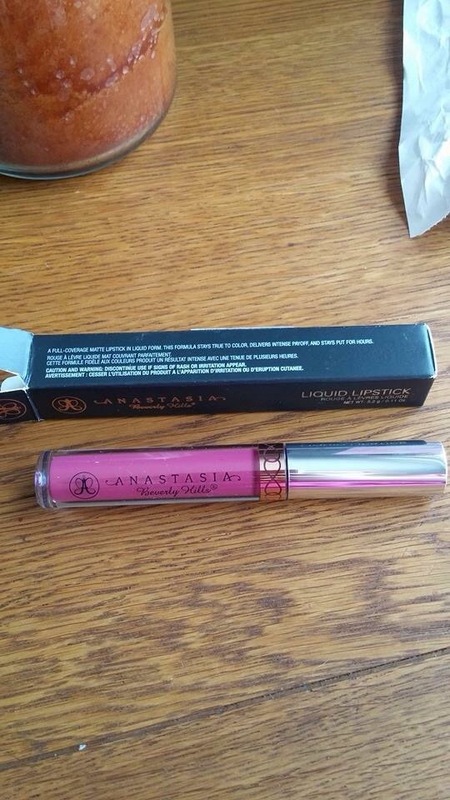 ), the packaging is sleek and beautiful like all the ABH products and it feels nice to hold in your hand unlike some of the cheaper brands. The applicator is a large doe foot, this makes it a little hard to get a good straight lined lip without the use of a lip brush (which I didn’t have when I got my parcel) but it applies the product nicely and not too thickly. 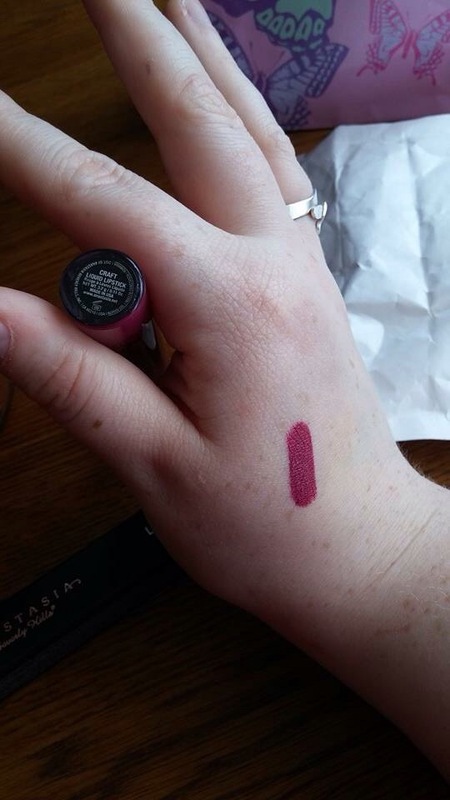 The swatch is very pigmented (this is just one swipe) but I did find that (even after 10 minutes of the product being on my hand) it was matte but rubbing my finger slightly across it made the swatch smudge like crazy. 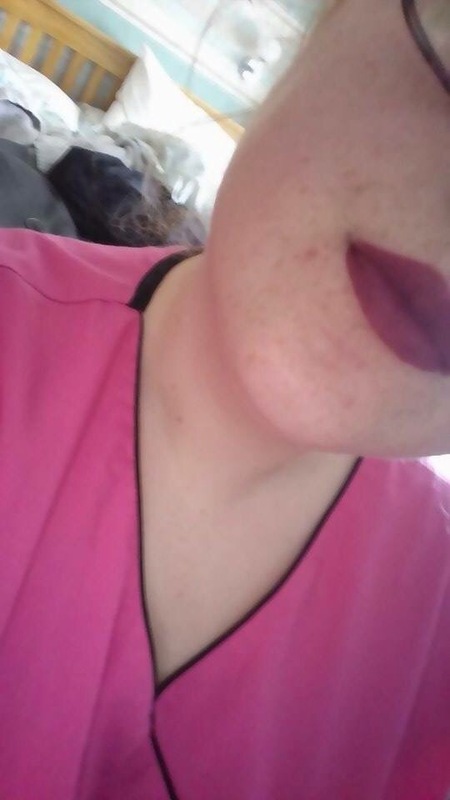 On the lips swatch, sorry for the lack of face, I wasn’t wearing any makeup as i’d just got out of the operating theatre at work (hence my pink scrubs) and didn’t feel too attractive with my swollen face. 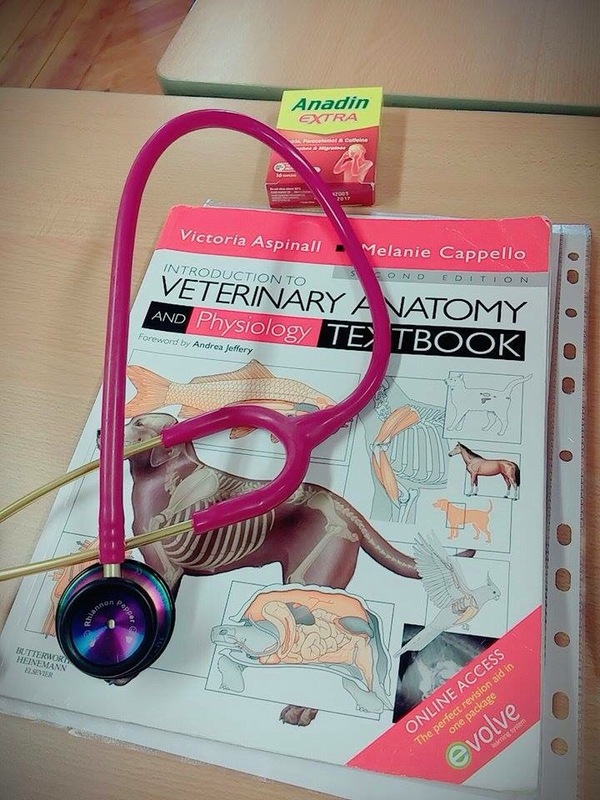 My life at the moment – anadin for my wisdom teeth and my textbooks as revision for my exams in 5 weeks.